David Fincher, the director who I envy (as a verb) a lot, If I become a filmmaker one day, I will surely take inspiration from Fincher. He is the director who makes my type of films, his dark theme is always what I love about him. That being said, how can I not include his magnum opus in my favourite films of all time. 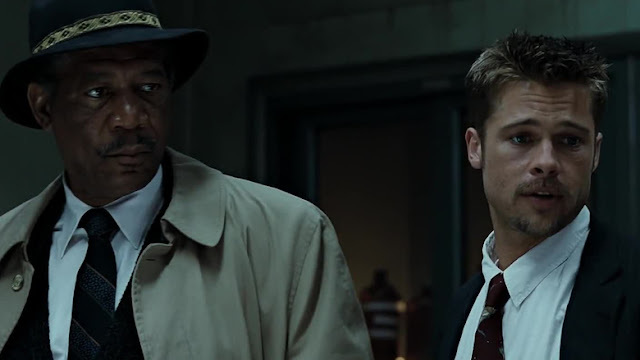 Se7en is one of the most iconic films I've ever seen, this film is dark, about a serial killer, but it tells it's story through the people investigating it (Brad Pitt & Morgan Freeman). The first time, I watched this film, I remember, I was in the edge of my seat, during the ending. Really, the ending of Se7en is some of finest filmmaking I've ever seen. This film gave Fincher his respectable landmark, and he truly deserved it. The film begins with one of the best, in fact "the best" opening credits of all time, in my opinion. 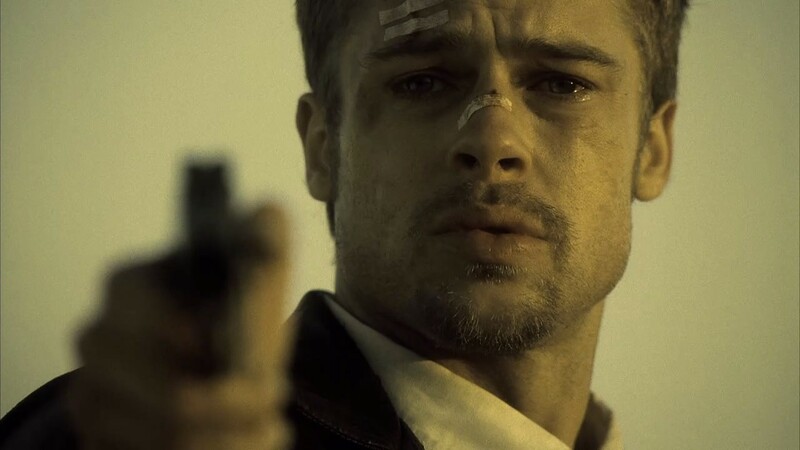 Now, 1990's was a brilliant decade for films, but for me Se7en is my favourite film of the decade, If not the best. The fact, that Fincher made this film look more rich, is because of genius level of storytelling, not telling the city which the film is set in, never showing even a single murder happening, just showing the aftermath. That, I would call an auteur level of filmmaking. I could love this film only for it's ending, really again, how can I forget these lines ever "Whats in the box?". But, besides all the serial killer aspect, and the mystery, this film really focuses on characters as well, from a harsh relationship between Pitt & Freeman in the start, and till the end, they develop a healthy relationship, as they start to understand each other. The moments, where they both talk, and try to do something is one joy to watch in the film. The camerawork in the film dwell in the plot of the film so well, shooting hand-held when tension is built. Kevin Spacey, man, that guy is just f**king brilliant in the film, he gives his best performance till date, the hype that he creates in the film, is still unmatched. Se7en is the film, I rewatch from time to time, even though it is hailed as a difficult film to watch, but what I can say is that "I'm intrigued by the darker side", I just love dark films, and this might be the best one. If you haven't seen Se7en, please don't search about it, just watch and then search, because it is the film, you would wanna watch without knowing much. It is one of the most intelligent thriller, ever made. It has breath-taking moments, and they still hold up when I watch this film for more then fifth time. David Fincher, hats of to you, for crafting this masterpiece, and then go on making masterpieces. Hope you enjoyed my fourth instalment in favourite films series!